Can news and social data facilitate better trading decisions? Thea Sokolowski holds an MBA from Oxford University's Said Business School and has been uncovering insights in the social and media space for nearly 10 years. Quants, or firms who make trading decisions based on the output of complex algorithmic models, are continuing to turn to alternative data to give them an edge when making trading decisions. 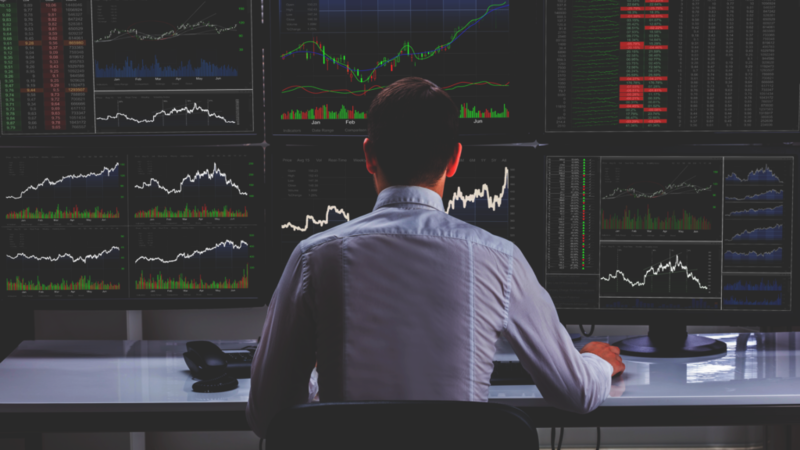 Experts from Bloomberg have demonstrated how news and social media data – in particular sentiment analysis – can be used by hedge funds as a signal to indicate whether they should be long or short particular stocks. Quantitative firms make trading decisions based on analysis from complex algorithms, fed by enormous amounts of data. Firms from Winton Capital, to EQT, to Bridgewater Associates and more, famously employ AI algorithms to facilitate decisions. Private Equity and Venture Capital firms can also employ these algorithms to evaluate potential opportunities and monitor their portfolio. Quants use machine learning models to evaluate a wide range of diverse companies and discover indicators which predict their potential. The data that feeds the algorithms employed by quants, however, needs to come from somewhere. In the never-ending search for unique insights, many investors are turning to alternative data sets to give them an information edge – starting with news and social data. What does news + social data tell investors? This information can help them predict virtually anything. News data is filled with what the financial industry calls signals – or events which can indicate the growth trajectory (or lack of growth) for a particular company. Things like senior level turnover or new strategic hires, new partnerships and sales, mergers + acquisitions, product launches, patent filings, product recalls, customer feedback and more are all collective clues which, when analyzed over time, can give potential investors an idea of where that company might be heading. What makes it even more interesting is when sentiment around this data is analyzed to determine how each event was perceived in the market. The team at Bloomberg took a deep dive into sentiment analysis from news, social or a combination of the two, by conducting a test based on historical datasets to understand how well signals from this data could enable hedge fund managers to predict outcomes. According to the Bloomberg blog, looking at historical data from the period of January 2, 2015 to March 31, 2016, the team used machine learning to assign a rating to every news story about a stock: positive (+1), negative (-1), or neutral (0). Scores were averaged over 24 hours, producing in a single daily sentiment score that is available before the market opens. They then developed long/short trading strategies based on the sentiment scores using Russell 2000 stocks, by which they would buy stocks in the top end of their sentiment rankings and short those in the bottom. Attempting a variety of strategies and variations, “all the sentiment strategies outperform[ed] the market.” They found that better results were achieved with a combination of News and Twitter signals. The Bloomberg team is not the first to discover the value of this data for investment purposes. In 2015, NYU Stern Accounting Professor Eli Bartov showed that investors should evaluate Twitter data to gain early insights into a company’s prospects. Want to learn more about how alternative data signals from Outside Insight can be used to give investors an information advantage? Get in touch. Regulating AI: can we eliminate bias? OutsideInsight.com is an online magazine and resource built by the team at Meltwater to help business leaders understand how to bring AI-driven competitive insights into boardroom decision-making. © 2018 Outside Insight. All rights reserved. From organizing data to AI technology, gain a better understanding of key terms related to the coming AI revolution. Dive deep into Outside Insight in practice, with videos featuring leading AI experts.